I am not the first person to think that film is a good medium to research and explain International Relations. It would seem that there is a whole world of clever people explaining how film represents contemporary structures of power in the global (see Shapiro for my current fave, although I do feel I’m late to the party as lots of my geek friends have been reading his work like waaaay before he went mainstream and hit the 6music playlist). There are also those who are directing and producing their own films (Cynthia Weber was my academic crush for August 2015 – but not in the creepy way of real world crushes, academic crushes tend to be more ‘ooo I love X, why didn’t I/can’t I do that?’ and then you become too impressed by their work to reach out to them and tell them this): I repeat, IR academics DIRECTING AND PRODUCING their own films (see also Callahan and Der Derian) – impressive stuff! I’m not doing that. I don’t know how: I don’t even own a camcorder, and my phone memory is shocking and has no storage to even save the mountain of baby pics my friends send me. I therefore thought it best to get someone who could make a film involved in the project. This person is the fabulous Leanne. Leanne is a self-shooting film-maker and editor. She has experience making films for outlets such as Water Aid (not the telly adverts that interrupt midsummer murders I hasten to add) and the Guardian, has been nominated for awards for her short film Nocturn, and, more importantly for this story, is in the process of finishing her first feature Keep on Running about runners in Sierra Leone. I heard about Leanne through Jo Dunlop (another altogether impressive person – seriously if you haven’t read her articles on Ebola or the super brilliant blog freetownfashpack.com then stop reading this boring blog and do so immediately!). Jo and Leanne had shot some footage for Keep on Running in Freetown and London just before the scale of Ebola became a crisis in Sierra Leone. Jo told me all about the project, and crucially the need to get some cash to finish it when I was conducting research in Freetown in April 2015. Returning from Freetown, I was determined to help get some cash to finish the project (but thus far failed – if you feel like the next Harvey Weinstein of the doc world, reach into your pockets, this film needs to get made) so met with Leanne to discuss ways of going about this. 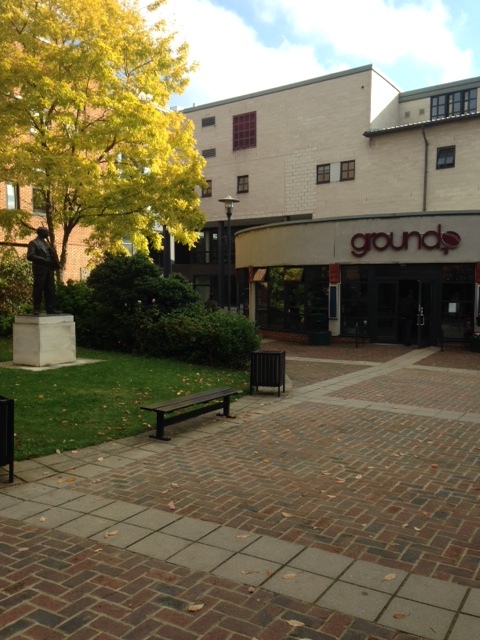 And that my friends – in Ground on QMUL campus – is where the plan to get both films made and directed by Leanne was hatched. We took some weeks to chat to other people and think about how we would go about making the film, but it soon became clear we had a shared vision of how to make the film and how we would go about doing it. Leanne gave me a list of films to watch, I gave her some books on HIV/AIDS and a document of potential stories and issues (lucky Leanne) and the idea to shoot the film as a social realist docu-drama was born. I understand docu-drama (mainly because despite my academic credentials I have a pretty low bar when it comes to cultural taste) as TOWIE/Made in Chelsea meets HIV/AIDS. I fear that sentence may come back to haunt me, but hear me out on this. Instead of shooting a straight interview/archive documentary we want the main characters in our film to act out their lives. They will tell us their stories and we will write a script that they will then adapt, edit and act out. This enables our characters to identify and co-produce the stories they want to tell, it also fits with one of the core means of communication in Tanzania: story-telling and dramatization. There will be no rubbish sepia lens shoots, repeated storylines, or the terrible acting of structured reality on telly, but instead the showcase will allow everyday people rather than trained actors or leading policy people to tell their own stories of how global politics of HIV/AIDS impacts on their everyday lives, and vice versa. I can’t think of a better way of making this film.